It this blog better than blogger? I have moved to Stanford for almost three weeks. I really enjoy the life in California. 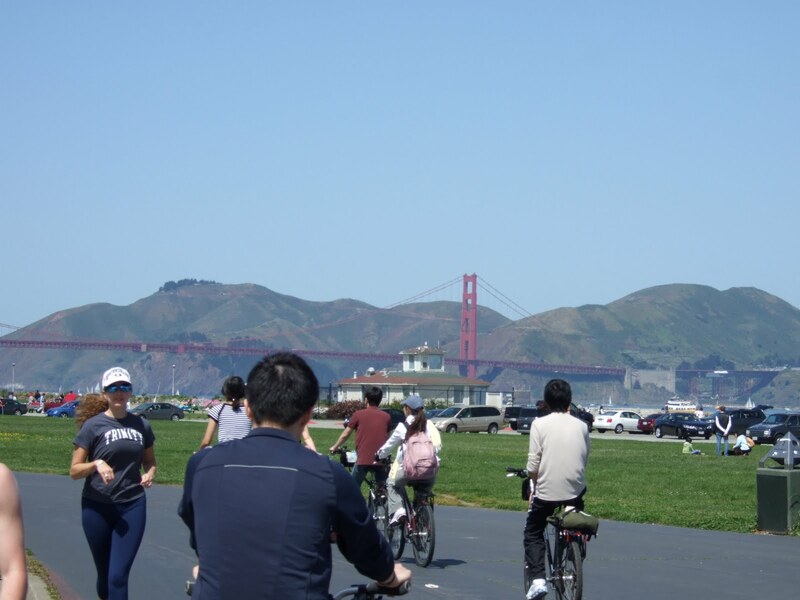 Some basketball friends suggested having a biking trip along the beautiful shore in San Francisco. The terrain in SF is really special. There are a lot of uphills and downhills. 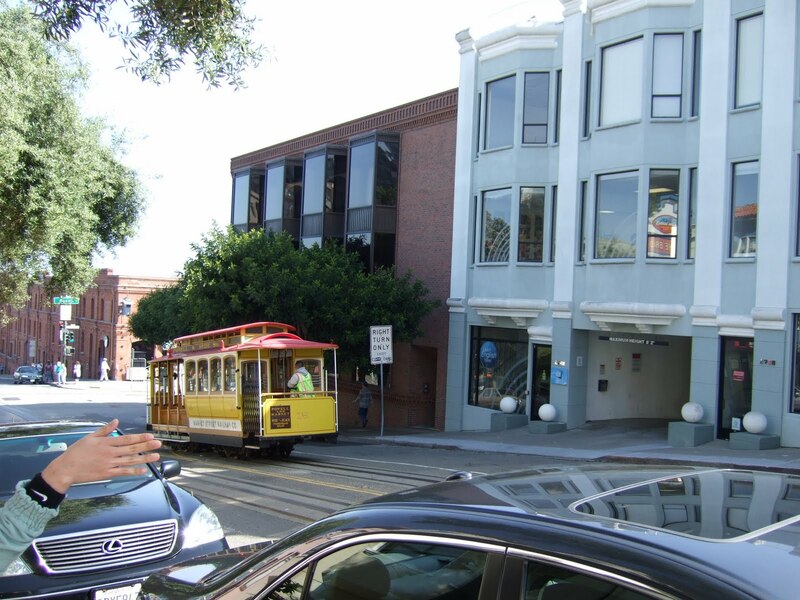 The famous public transportation is cable car. After everyone rented his bike, we started our journey from Pier 39. The biking trail is well designed for tourists. Sometimes there were uphills which made us hard to move upwards. Some people just gave up and pushed their bikes upwards. 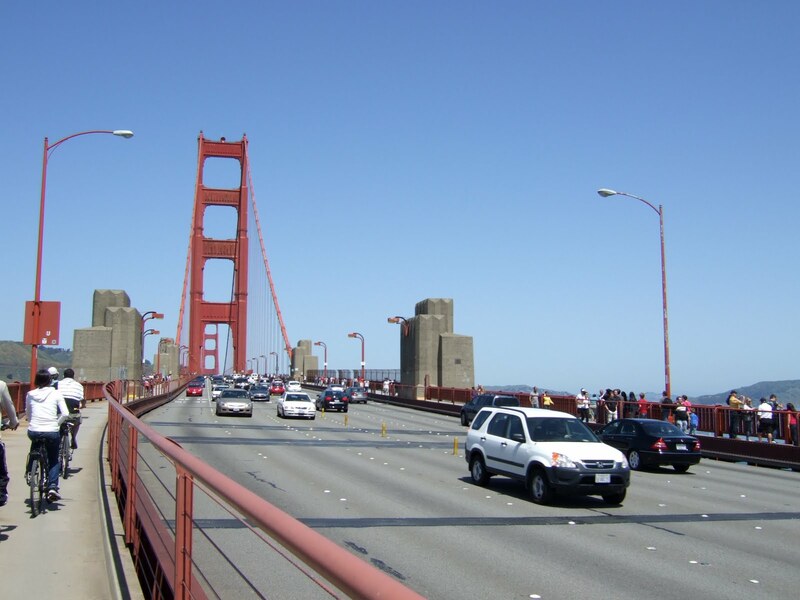 The famous bridge, Golden Gate Bridge, is really amazing. 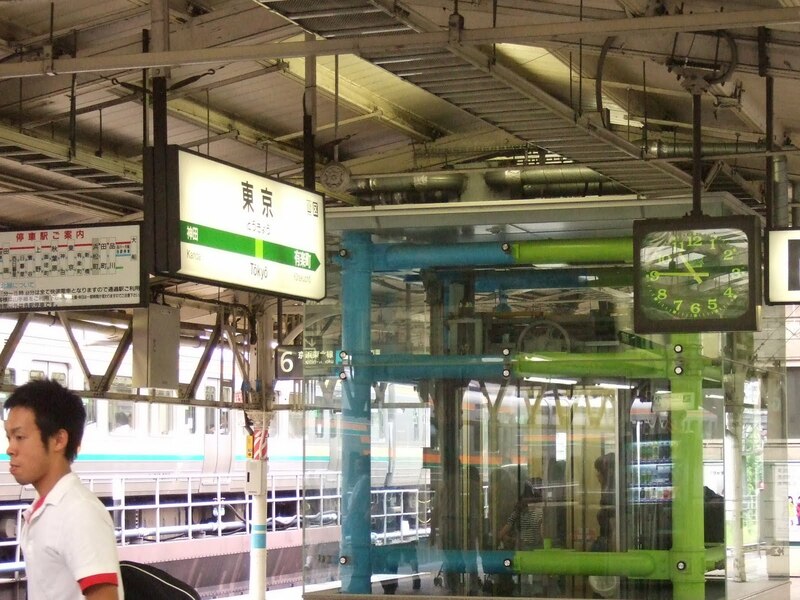 It was built by suspension method. In 1937, it was the first suspension bridge. Even nowadays, it is still the second longest one in the world. After the entire day of biking, we were all tired. We took the last ferry from Tiburon to Pier 39. We enjoyed our dinner in Bubba Gump. It is famous for shrimp food. It’s too sad that a person in our table doesn’t eat seafood. On my way back from Taiwan to U.S., I decided to stay in Tokyo for few days. It just cost me $30 more for the airport tax. We all know Japan is a big country, and there are around 200 million citizens. It has its own culture and history. Sushi and Sashimi are its famous food. I have been longing to see this country long time ago. 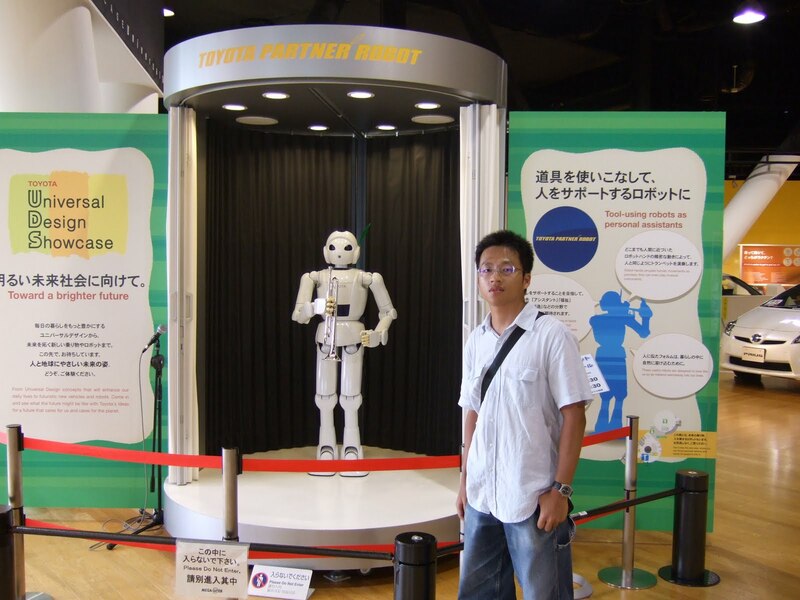 I visited several big cities in Tokyo, such as 池袋, 渋谷, 台場, 新宿, 築地, 淺草, 秋葉原, 上野. Each city has its own character. I am so amazed by those products displayed in the stores. They are very creative, delicate and there are a lot of varieties. I also love the robot and cars technology. Maybe in the future, this technology will be very common in real world life. I also went to Disneyland. 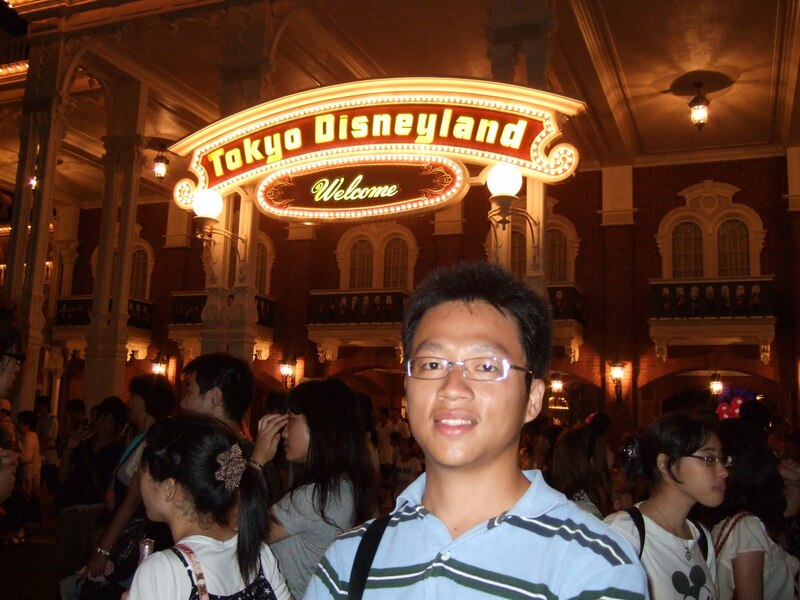 Although I didn’t watch a lot of cartoons about Mickey Mouse and Donald Duck when I was a child, I can still feel the happiness and enjoyment of the atmosphere there. Everyone seems happy and has a good mood. There are some entertainment facilities, shows, fireworks to enjoy. When I left the Disneyland, I saw the shop is always full of people. This is the magic to let people want to buy the products. Everything is beautiful and cute. 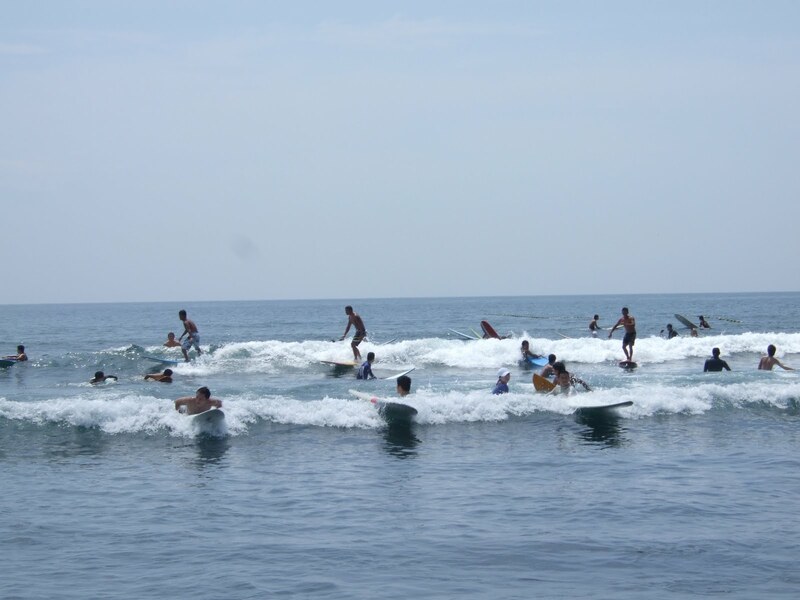 Going surfing in Yi-Lan on 7/25/2009. I watched the famous Taiwanese TV drama, 敗犬女王. It’s about an old lady wants to find her true love. However, she has two choices, one is older and the other one is younger. The younger one is even 8 years younger than her. He loves go surfing. This inspires me to go surfing. I’d like to experience this kind of youth and excitement. 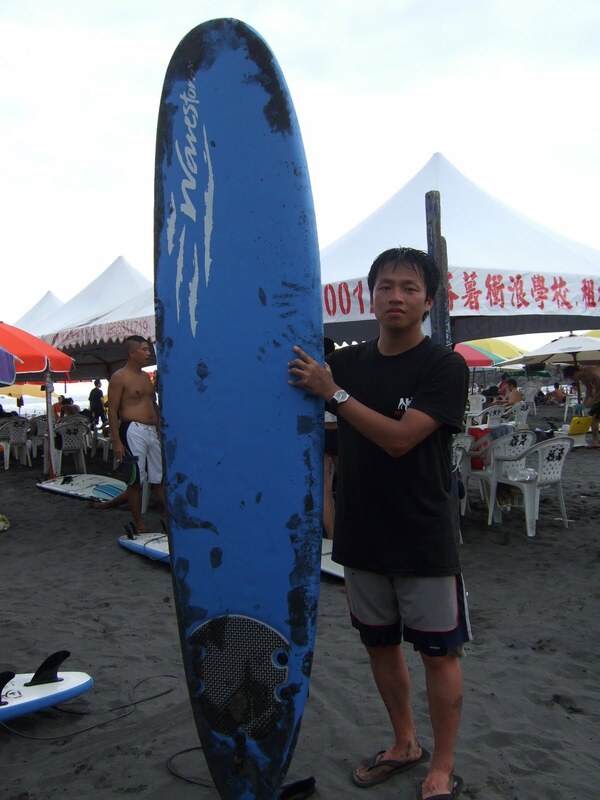 Before we left the beach, someone took me a picture with my lucky surf board. It was a nice big sunshine day. I was sun-burned several places on my body and I even look much darker than before. 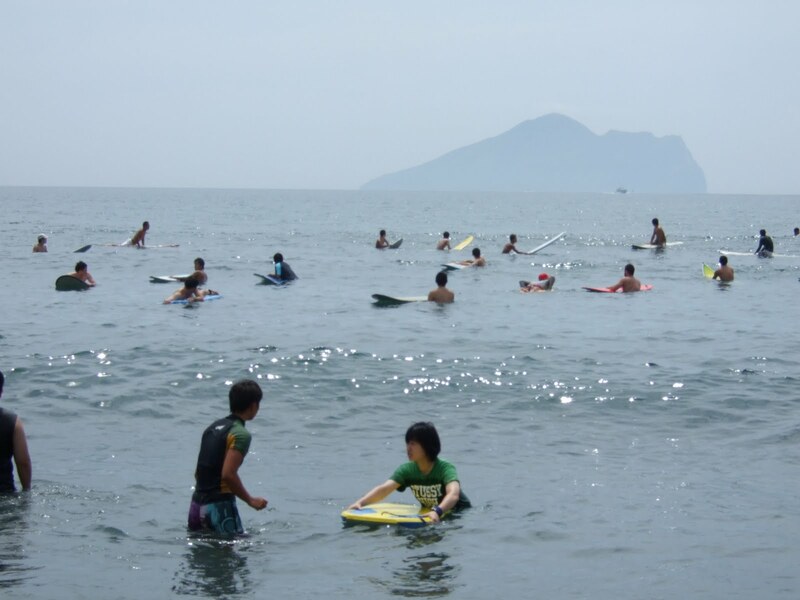 Author Jason ChuangPosted on 08/18/2009 08/10/2011 Leave a comment on Going surfing in Yi-Lan on 7/25/2009. 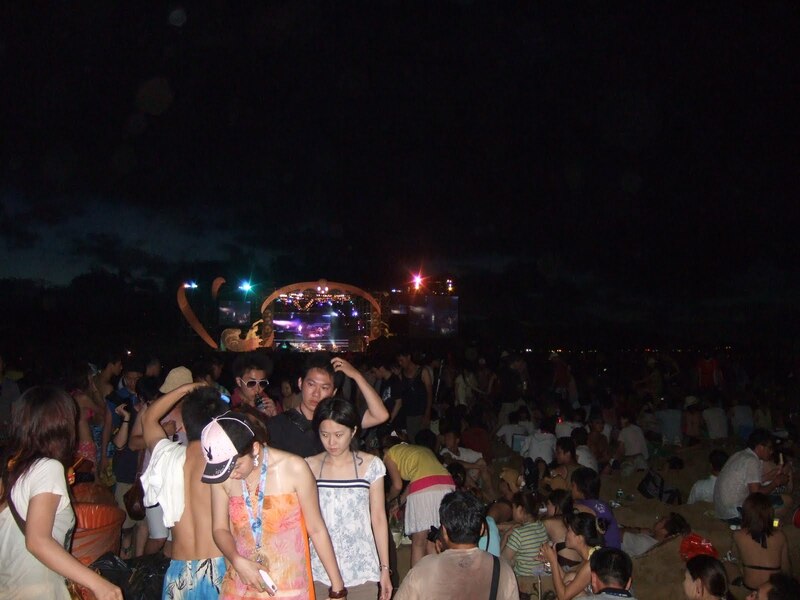 Music show near the beach on 7/11/2009. 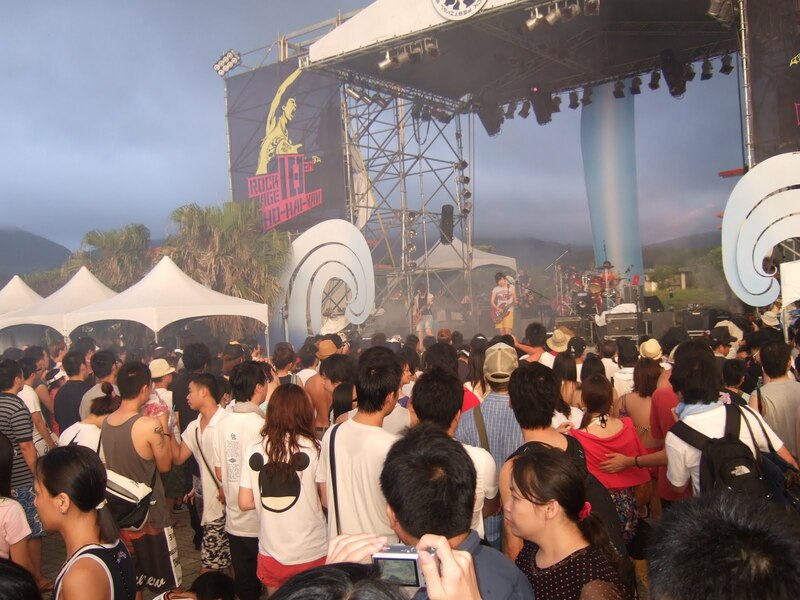 I have heard a lot about music show near the beach in Taiwan. The famous one is held in Ken-Ding. 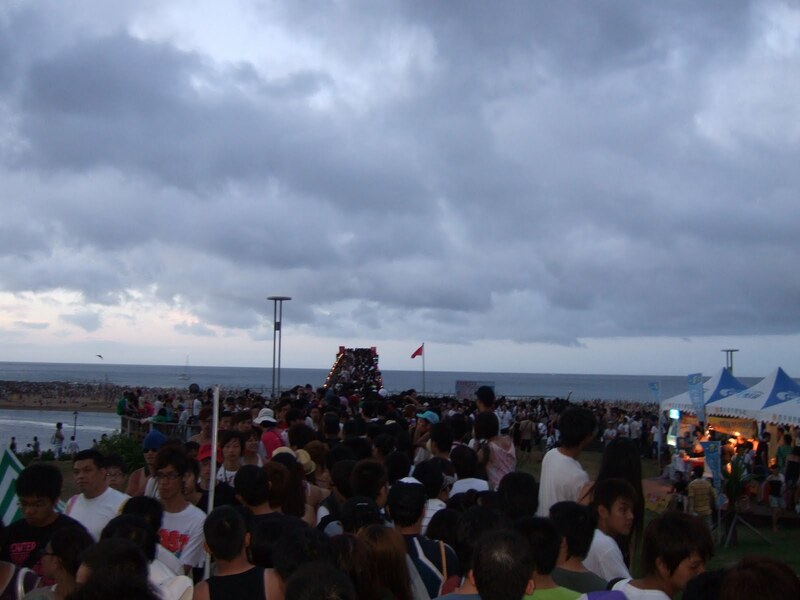 Since I was only staying in Taiwan for this summer, I’d like to experience this kind of events once in my life. I went there with my brother and sister by train. It’s very crowded there. I thought only these three days in a year this place could be such noisy. We arrived there at around 6pm. We didn’t stay there longer, because we were far far away from the main stage. We bought some food on the beach. It tasted like the food coming with dusts. 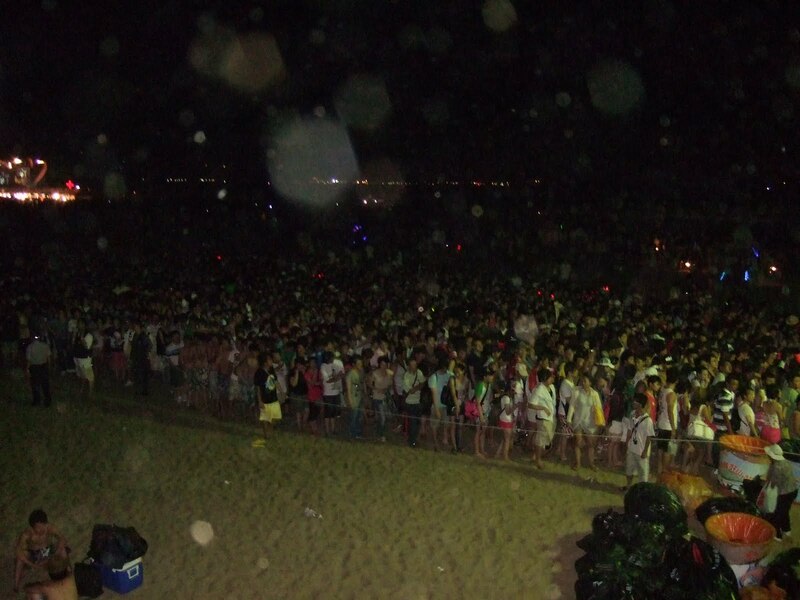 Anyhow, it’s a memory for me to enjoy the music show on the beach in Taiwan. Author Jason ChuangPosted on 08/18/2009 08/10/2011 Leave a comment on Music show near the beach on 7/11/2009. 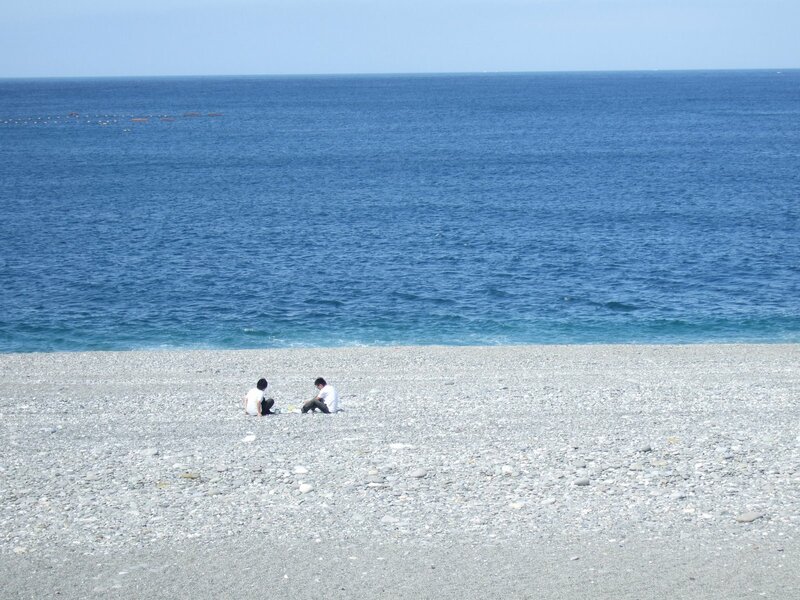 On June 27, my brother, sister and I went to HuaLien. All of us know how to drive, so we can drive for parts of the itineraries. 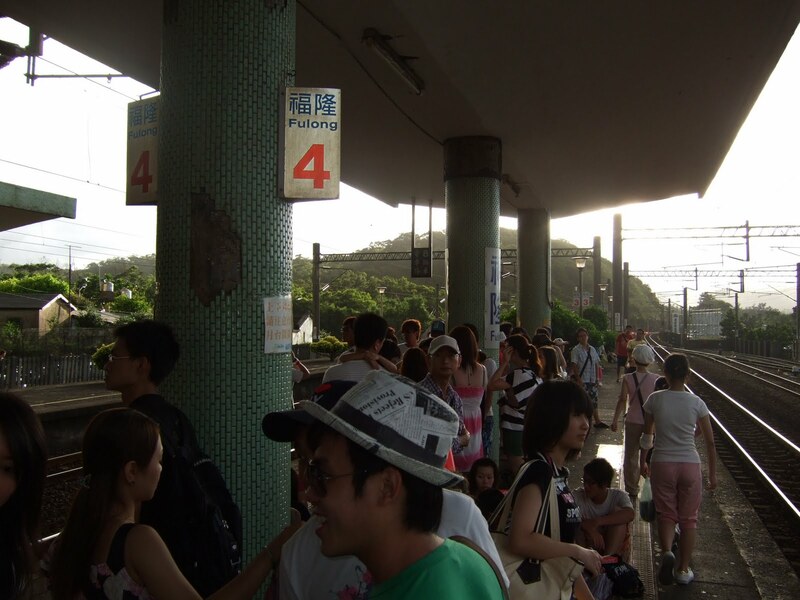 Due to the National Highway 5, we can go to YiLan within one hour. I have to say that the tunnels between Taipei and YiLan are amazing. There must have been a lot of efforts being put to build up this high way. However, while I drive in the tunnels, I feel very sleepy. The settings on the wall are very boring. The dark light also let me feel sleepy. 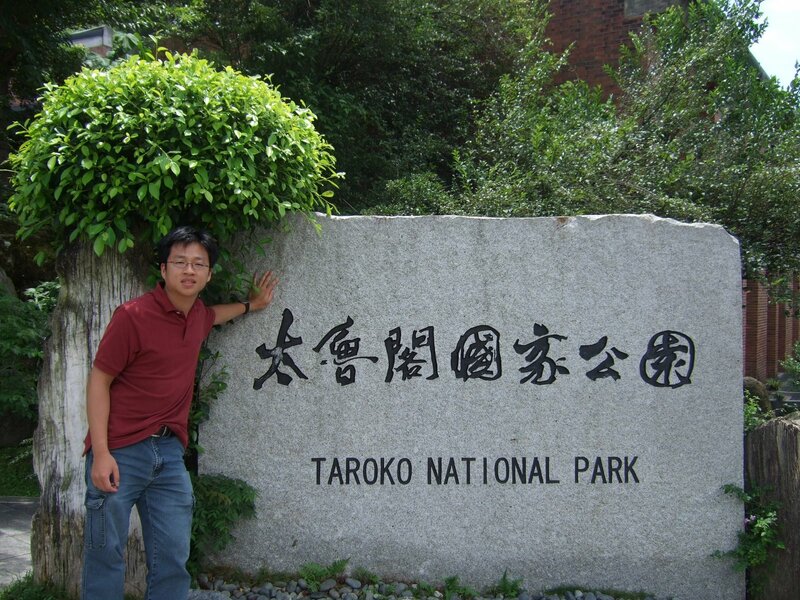 We went to Taroko National Park first. I heard that some people are planning to extend National Highway to HuaLien, but the enviornmental test is failed. They are afraid that the highway-construction might have big impacts to this beautiful National Park very much. We rent bikes and rode bicycles along the beautiful sea shores. 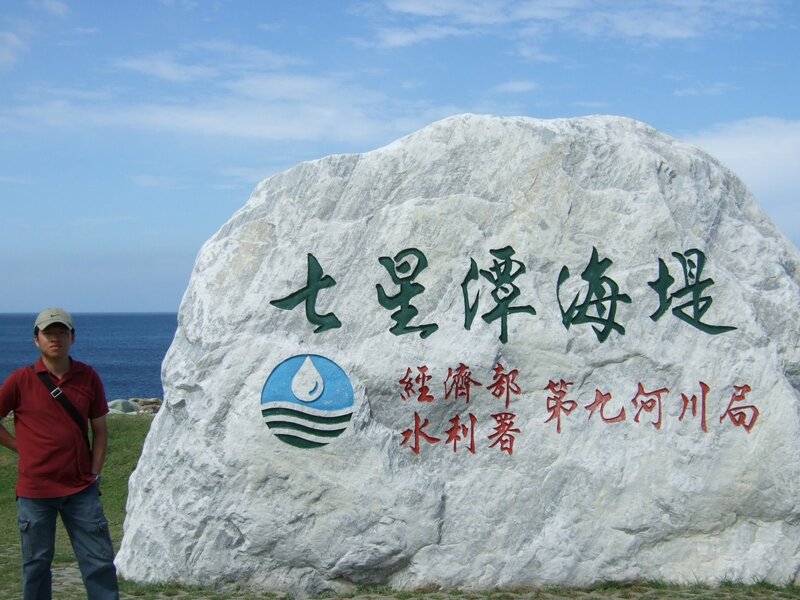 When we arrived Chisingtan, we took some pictures and enjoy the beautiful beaches. At night we went to NanBing night market. We played the basketball-shooting game and ate some delicious food. We also saw the dance performed by some aboriginals. We visited National Dong-Hwa University. 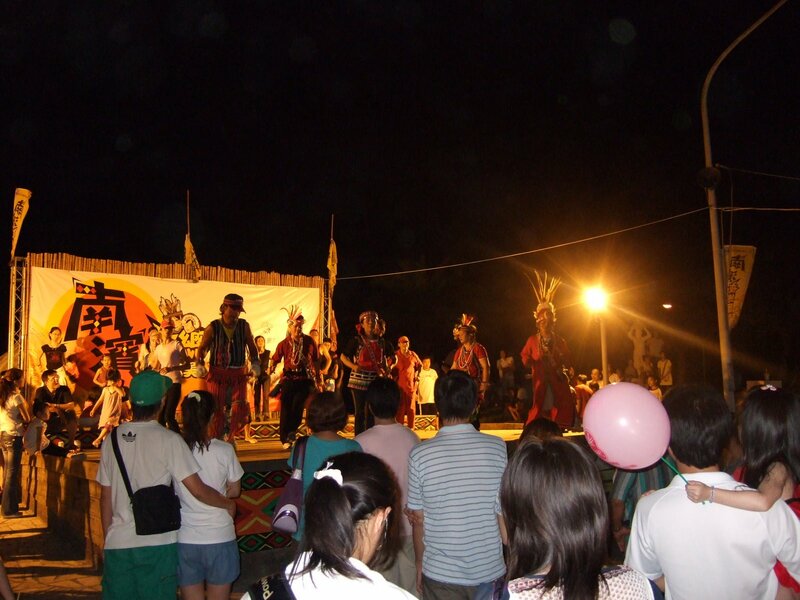 It’s located in south of HuaLien City. The campus contains a lot of areas which are not being used. I think the campus area is the biggest one in Taiwan. It’s even bigger than Purdue. 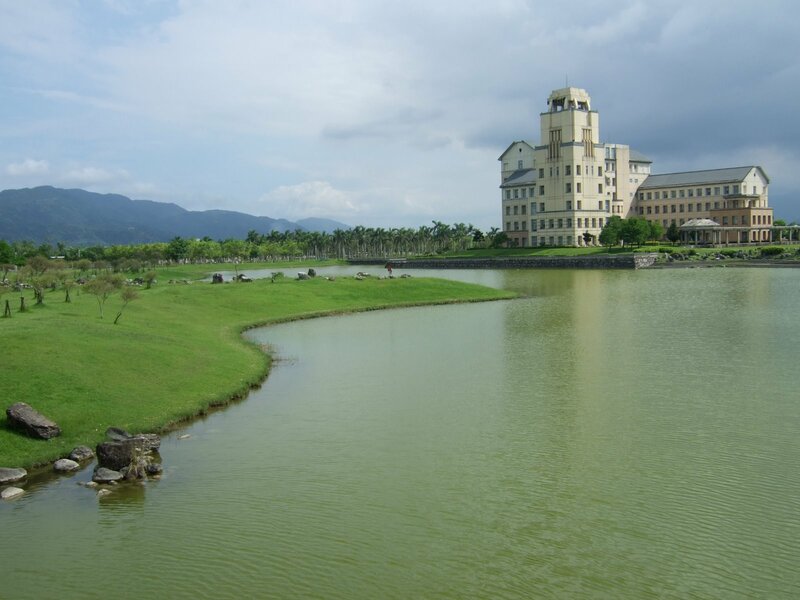 This university just absorbed HuaLien Shih Fan University. There will be more students living in this campus. It’s very beautiful there. 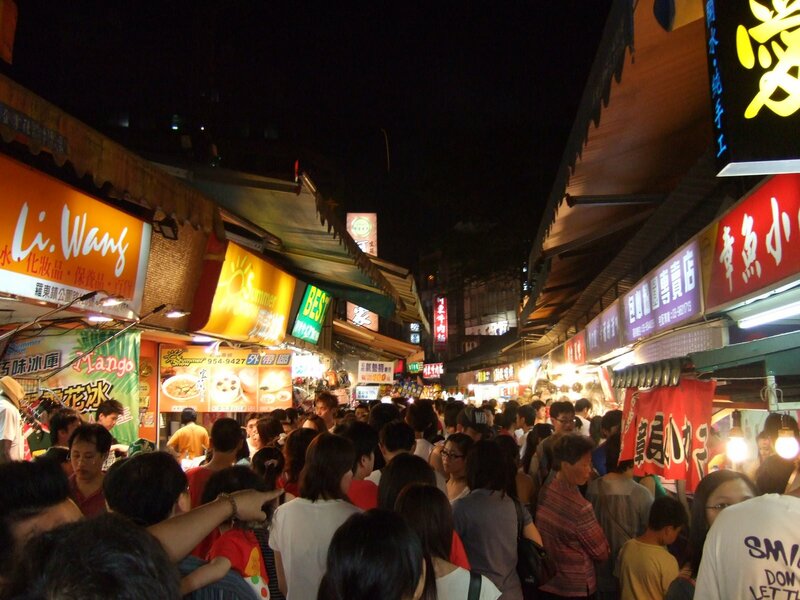 On our way back to Taipei, we also visited YiLan RouDong night market. We ate two famous food stands there, mutton and BaoXinFenYuan. It’s always crowded during the night. I think it’s a very special and unique scene happened in Taiwan. 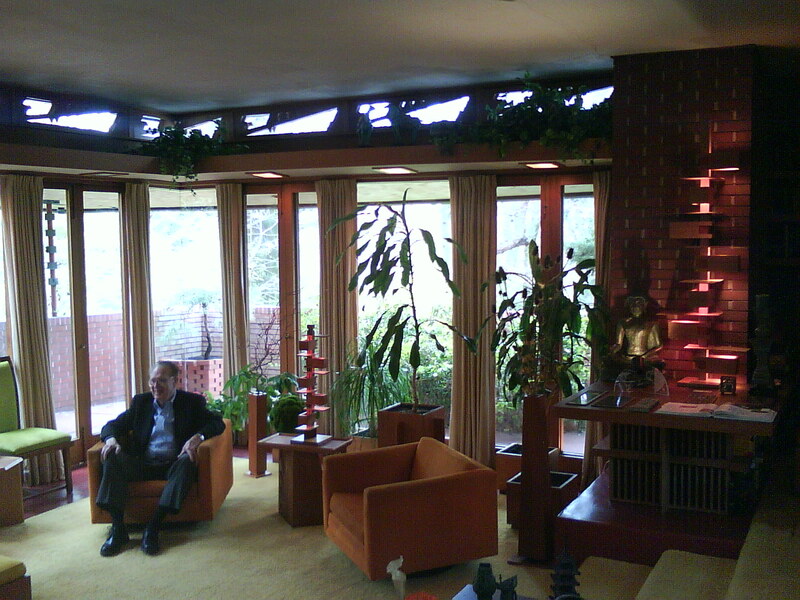 Frank Lloyd Wright was a great American architect. I’ve heard my friends mentioning this name several times. 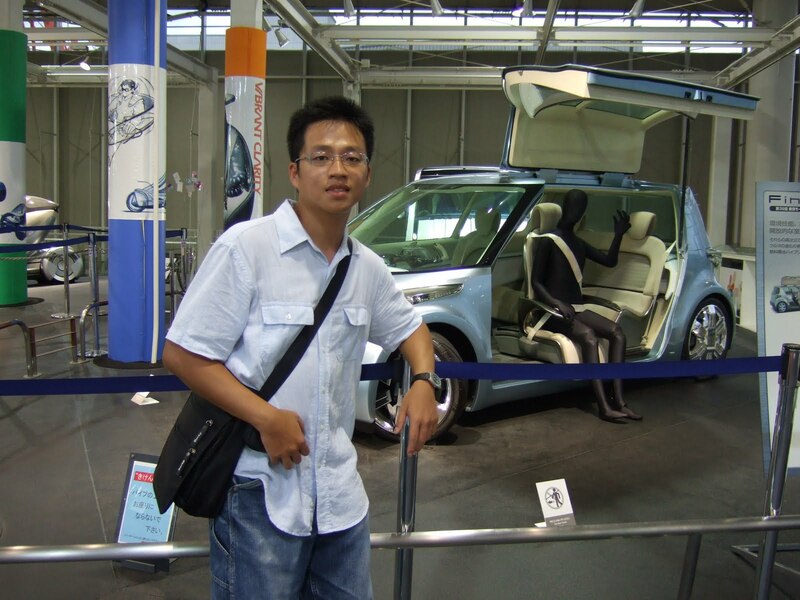 He loves girls and he is a strange person, but he is very famous for his architecture design. I am studying at Purdue and there is also one house near here which was designed by Frank. 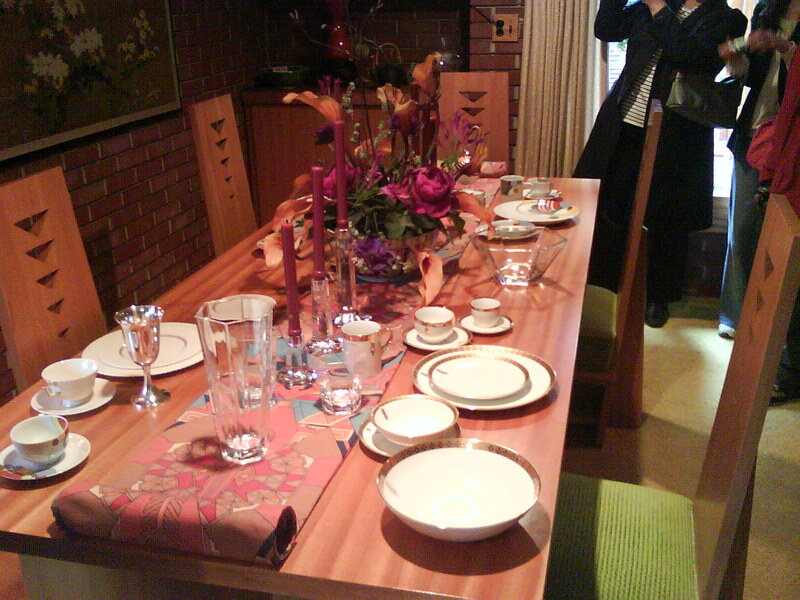 It’s really my pleasure to go to look at his designed house. I was told that Frank designed different styles for different people. There are more houses located in New York City. He discussed the style and the theme with his client many times. During the conversation, he knows more about the client and he also pays attention to what the environment is near the place. He not only considers the interior design, but also considers the location of the house. SAMARA is near a heavy traffic road, so he lowered down the base to avoid the traffic noise. Of course, he also picked the sound-proof window. SAMARA is owned by a retired Purdue professor, John Christian. He told us his experience talking with Frank. His house was designed for accommodating with 50 students. It’s not a big house, but the space is well utilized. There are many cantilevers along the wall. It’s so amazing that it can hold many heavy books for such a long time. 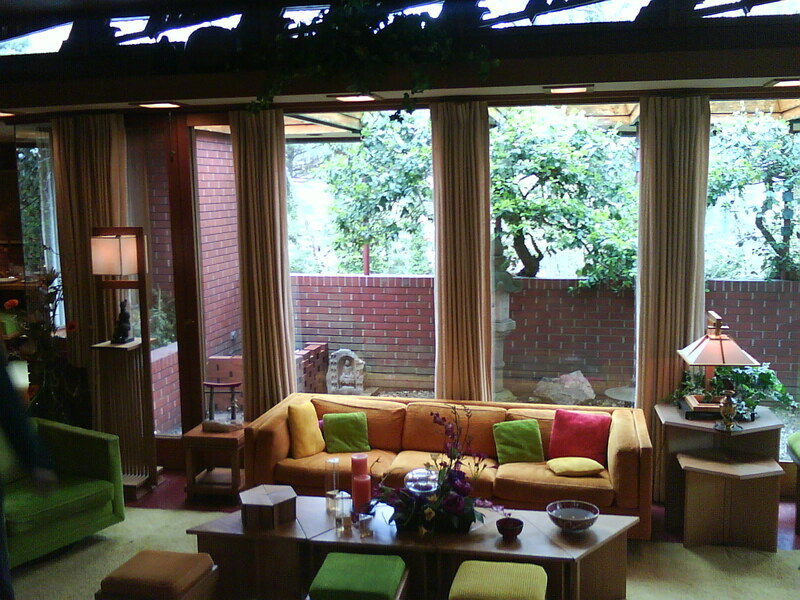 In John’s living room, there are several triangle and square shape tables or chairs. They can be put together to form another shape. John told us that Frank designed different shapes for different people with different personalities. In the dining room, the china, bowls and dishes are bought from the workshop which is operated by Frank’s apprentices. John told us that he was not rich in the beginning, so he bought several pieces of furniture little by little. 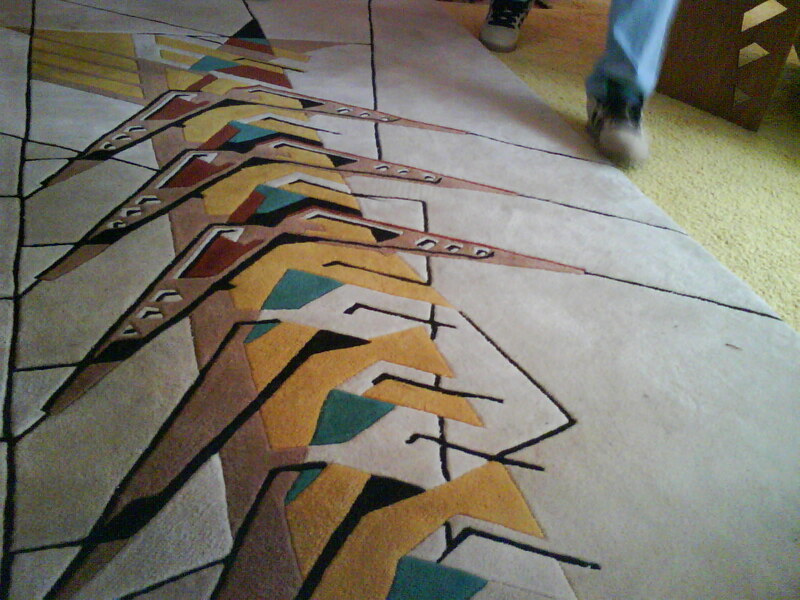 Even the rug is also designed by Frank. Actually, we can see this symbol somewhere in the house, like the one on the back of the chair. This symbol comes from the winged seeds flying in the air.